The word of the day is wallydrag, a noun defined as , ‘a highly worthless person or animal.’ Everybody had a field day teasing Wallie about it. The number of the day is thirty-one and the holidays are National Doughnut Day, National Gardening Exercise Day, and National Yo-Yo Day. We got sand for our sandbox this afternoon. I spent quite a bit of time making castles (more like mounds) in the sand. We also got some super bubbles. They are awesome. I got my letter of recommendation from Schoder today. It is really lovely to know that he thinks so highly of me- he says I am polite and people respect me and I am very analytical and mature for my age. How fantastic! Also in English, we wrote out last timed writing assignment. There were two basic prompts to choose from, one about a memorable experience from the other person (not your) point of view, and the other a fictional story of a few subjects. I chose the subject of outer space and wrote a four page story, much longer than I can normally write without typing something up. A basic summary of my story is below. It starts out telling the background of the first humans in the world. Rather than two, as the legend goes, there were in fact four people. Two of them were more curious than the others, and they went out to explore. They came across a swirling vortex and got sucked inside it and transported to outer space, where they founded a planet called Second and began their life there. Many years later, the two leaders of Second, O and N, have a problem- their community, as well as them, wish to know what happens to their people once they die. The Secondian death ritual is to drop the deceased over the edge of the planet, where they are propelled downwards and land on Earth, where the descendants of the other two original people lived. The bones of the deceased become warped from the impact of the long fall and become what the Earthlings think are “dinosaurs.” The ending does not really solve the problem at all. Anyway, I think I did a really nice job on it. I am hoping it brings the 89% up to an A. Also about grades- my Child Development grade is an 88% and there is the portfolio due next week, so hopefully that will bring that grade up to an A as well. My Math grade went up 1% from a quiz we took today (I got an 88% on it, though I should have gotten a high A- the teacher counted the last problem correct with -4 as the answer though I checked it and there were, in fact, no real solutions; oh well.). There is a final we are taking next week that the teacher says is simple, so I am hoping that will bring my grade up. It is, after all, worth 20% of our final grade. We had this really late dinner of a variety of delicious (and also unhealthy, but hey, you only live once) frozen foods tonight. The meal consisted of pepperoni pizza rolls, mini honey crunchy corn dogs (NERDFIGHTER FOOD! ), and cheddar and bacon chicken nuggets. It was great. Today was the last Friday of the school year! How odd it is to think that summer is nearly upon us. This year was at the speed of lightning. Anyway, I am going to take a shower now and then go to bed. Farewell. There are seven lucky pennies in my pocket. It is Lucky Penny Day and, to celebrate it, I carried around pennies for good luck and handed out bunches of them to my friends. There were tons of people absent today, I guess because of the combination of Prom Night and the upcoming Memorial Day Weekend. Once I had handed out lots of lucky pennies, I found that there were exactly seven in my pocket. How lucky is that? At lunch today, it was “Free Warm Cookie With Lunch Day.” Amazingly, the cookies were actually warm. That was a first. Also during lunch, near the end, this woman (or maybe just older student) was going around to tables handing out pieces of saltwater taffy. I was thinking, “Hey, that is pretty nice of her,” and I ate one, as the remainder of the people at my table did (other than Zach). It was only after I began chewing it that I realized what I was taught as a kid- never take candy from strangers. It could have been poisoned or something. It was then that I thought that I may die. I actually became extremely paranoid. Today in English I made up a BCR I missed on Wednesday as well as received the new vocabulary list. The BCR was rather simple, but I was shaking the whole time because of the paranoia about the “poisoned” taffy. I started feeling woozy, but I am pretty positive that I was merely subconsciously conjuring up a sickness in my mind, because I felt fine once I forgot about the taffy fiasco. I suspect that I only lived because of the seven lucky pennies in my pocket, most of which were from my birth year, which is triple the luck. We also watched part of the movie “Matewan” during that class as well, seeing as there were so many people absent, as I mentioned. It was okay, I think, though I just did my vocabulary sheet for most of the time. Wow, my sister (Clara) really needs to improve her judgment. My mother is picking her up from a friend’s house right now, where she went knowing there would be no supervision. She was caught because she left her cellphone at home and the friend’s slightly older sister called it to see whether she was locked out of the house. Too bad for Clara, because she is now in major trouble. Perhaps that is the reason she got in trouble about a month ago- she refused to tell me why, but she lost a few privileges for a whole month. Archie is even cuter than she was when I last saw her this morning. She is also calming down- yesterday she did not want to be held very much, or at least peeped a lot when I held her, but I held her just now and she fell right asleep in my hands. Adorable! Oh yeah, guess what? Stumped? I actually have plans for this weekend! I never have anything planned, but my friend Alexandra invited me to a sleepover party at her house tonight. Because I rarely go anywhere, my parents are letting me go! How exciting- I have not been to a sleepover in quite a while. Only a few more weeks of school left. A few more weeks of freshman year. That is crazy ridiculous. I still find it incredulous (hooray, I used one of my new vocabulary words!) that the year has gone by so fast. It seems like just yesterday we were nervous eighth graders starting out at a new school. That means it is almost another year closer until college- when friendships are tested to the ultimate limits, unfortunately. Wowie kazowie, how awesome is this webcam? I have been wanting a webcam for quite some time, and this retro-looking one is awesome! At thirty-five dollars, it is not too expensive, either. Anyway, I am going to play with Archie now before I go to the sleepover! Wednesday, oh joy. Wednesday club. Not only that, but I got to miss all of school to help out in the preschool. You know, because of the whole HSA thing. It was awesome- I am seriously considering becoming a preschool teacher. Project beginnings- there are two of them, hence the plural form of ‘beginning.’ The first is not really a project, more of an ongoing thingamabobber. It is something that countless have done before me- record books I want to read. It is titled ‘Books That I Wish To Read Before I Die’ and has about five or six on it so far. More will surely be added, mainly classics that must be classics for a reason that I would like to find out. The second project is one I may have read about somewhere, or perhaps just subconsciously, seeing as I cannot for the life of me recall where I read it. Anyway, it is to collect the signature of everyone I meet. I have started by gathering the signatures of some people I have already met, mainly the Wednesday Club participants and a few family members. Oh my, how lovely, it has begun to rain even harder than a moment ago. It was raining a smidgen earlier, but promptly stopped. The Secret Spot- well, somebody jokes whose name is Brittany came to Wednesday Club with us today. She showed us this amazing spot behind the library, where there are a few benches (one of which is a memorial for Craig J. Fritz- while Courtney was sitting on it, Laura cleverly pointed out that Courtney was on the fritz) and such. It is this really lovely place, much nicer than the far-away benches in the front of the library. Shoes- for a while, I have only had one pair of shoes to wear. Naturally, with time comes wear, which comes with tear- and my green Chucks are fantastic as ever, but they will not be alive forever if I continue to wear them every day of my life. Hence, my idea that I need to get another pair of shoes. There is currently a pair of Dr. Martens in my size on Ebay, which I am hoping my parents will buy for me. You know, because shoes are considered a necessity and all, meaning that my parents would be willing to buy them. I am running out of money and I have yet to find a job. Anyway, these shoes are a tremendously good deal and I really want them. Along with these, I love the most likely aforementioned yellow rain sliders. The auction for them is ending in about a day, and the price has yet to raise significantly. This pair is yet another thing I am hoping my parents will purchase for me. Before it is too late. Blast! I just remembered that I missed a writing assignment in English today- meaning that I will have to make it up. I honestly do not like making things up. Just the thought that I am behind on something- ugh, it makes me shudder. Laura is going to have a party next week or something! I believe I mentioned this enough already, but I am extraordinarily excited. Plus, I will get to meet the amazing Sabrina! I had a chance to meet her at another party some time ago, but I got sick and was not able to come. Which was utterly dreadful, seeing as I rarely get sick and the sickness just happened to arrive on the day I did not want it to. Then again, I never really want to be sick. Sorry, I just keep thinking of how much smarter than me she is. Oh yeah, I believe my ants have started tunneling! I guess they are extremely slow, because the tunnels so far are very short- still, they are there, sure as day. Speaking of the ants, I have named one. The one that I always find ‘punching’ the glass. Thank you very much, Laura, for searching the encyclopedia to find out about the physicist (whose name, drumroll please, is Pascal the Curious!). Hooray, the chicks will arrive tomorrow (or possibly Friday, but I am hoping tomorrow) and the puppy will be picked up from Pennsylvania in a week or two! Blegh, lately I have been developing a number of habits. One, for instance, is that I find myself pointing at someone when they say something I do not agree with. For example, my mother will tell me that she hopes it is not raining and I will just, all the while keeping a straight face, point right at her. I have not an inkling how this was developed. Another is to say, ‘what do you think this is, a free-for-all?’ whenever anybody… well, actually, whenever. My mother has nearly forbidden me to say it, I have been saying it so often. Again, I have no idea why I have begun to do so. …and we whispered the secrets of our brains. EDIT AN HOUR OR TWO LATER: Oh my goodness, I guess I was so excited about this that it completely slipped my mind- right now I share a room with two sisters, Clara and Emma, though I have wanted my own room for a long time. Well, my parents are seriously considering putting walls up in the huge sunroom we have in our house and making two bedrooms. Since Jake and I are the oldest, we would get to each have one!!! I am so excited about this, so monstrously excited. I have said that a billion times about other things, but I truly cannot wait for this to happen (which I am hoping it does). My goodness, my own room would be amazing. I could… paint the walls fantastic colors, and put bookshelves everywhere, and have a loft bed with a desk underneath it and… my goodness, there are so many amazing possibilities! Alright, end of edit, good night for real now. As the title suggests, I had a Saturday that was normal, in the societal sense. My dad and I went to see my brother’s (and Daniel’s brother’s as well as some other guys) new band play at a cultural arts center. It is called The Great Operation. It was very loud, but I think good. I say ‘I think’ because I am not a very good judge of music. If it has a beat then I usually think it is okay. My dad and I had Five Guys before going there. At the place, I saw this guy who was really jokes. He was actually wearing a shirt that I own and had the same shoes as me. What was awesome about him, though, was the fact that he had dreads. Like I want to get. Also while there, I chatted with Daniel. We played rock, paper, scissors and spoke of our memories of random events. Plenty of laughs are found in the past. And yes, I did intentionally rhyme that. It turns out that my older brother is not going to be going to college next year. At least, not at Goucher. I wish he were still going to college. I do not want to see him end up a slacker with a minimum wage job for the rest of his life. Still, if it makes him happy then major props to him. Emma and our neighbor Brenna started their own little ‘shop’ in our yard, selling things ranging from scarves to bracelets to bookmarks, all of which were made on Brenna’s knitting looms. They had an ‘auction’ and sold bunches of stuff from two cents to twenty-five. I bought three five cent scarves and one seven cent scarf. Their colors are [a]pale yellow, [b]red, [c]orange, purple, and magenta, and [d]red, orange, olive, navy, and purple. I am wearing them all at once at the moment. A Threadless shirt, as always. And look, this shirt is for nerdfighters such as myself!!! Look how fantastic these sunglasses are- and in my second favorite color as well! And yes, I know that I already posted this on a previous shorter wishlist. Okay, this is one of the most amazing-looking cameras ever. Those colors are fantastic. These presidential mustache pins are marvelous. 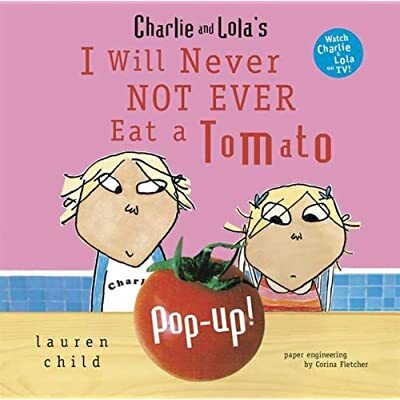 Charlie and Lola is my absolute favorite television show and basically the only one I watch. The books are not sold around here, seeing as they originated in the United Kingdom, but some can be bought off of Amazon. This one seems the most excellent choice, plus it is a pop-up book! Just look at how cute little Albert is! A hidden bookshelf or two would be quite handy. P.S. I wanted one of these before John Green made a video that showed his own. I have wanted a carnivorous plant set for quite some time. My mini cacti are not growing, so I figure one of these would be the best solution to my wanting a mini cactus thing. There you have it. I know my birthday just passed and I got many wonderful things- this is merely a compilation of things for the future, such as if I happen to win the lottery or something, so that I can use this list as a reference.